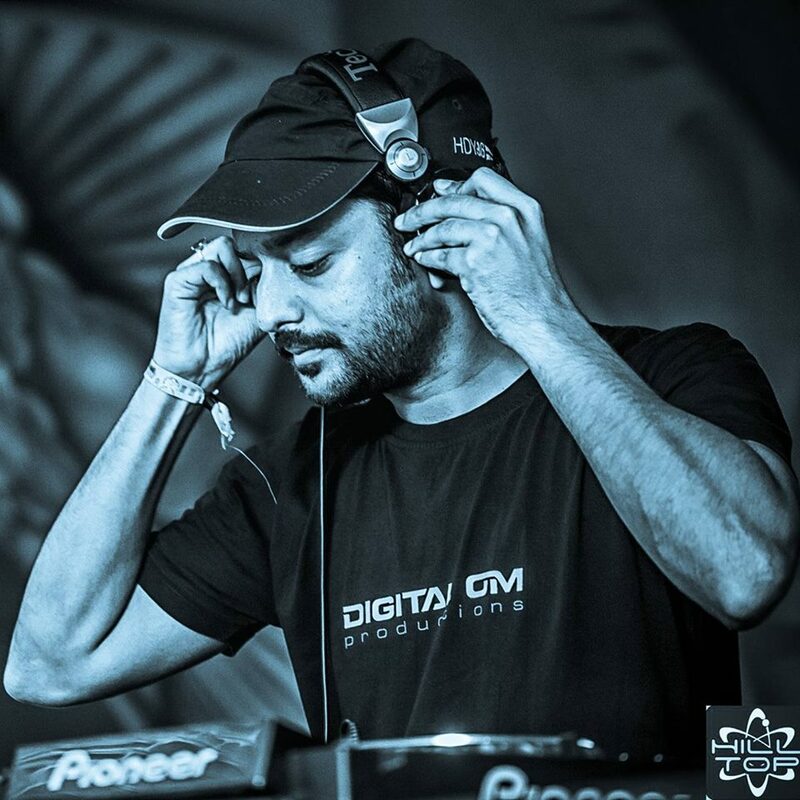 StarLab (Bharat Bindal / Digital Om Productions / India ) – who has been a revelation in the Progressive Psytrance arena joins us for an interview on Radio Schizoid tonight. [ Radio Schizoid ] Bharat, tell us about your journey so far and how it all began? My musical journey began when I was around 6 years old. My parents who are both deeply musical with my mom being an Indian Classical singer and my father a guitar and bass player started me on a diet of Hindustani Classical Vocal music which I despised at that age. Little did I know how much value it would add to my life later on. I got a diploma in vocals before I was 10. It was around then I started paying attention to what my older brother was listening to. Guns N Roses, Aerosmith, Pearl Jam n stuff. I discovered the guitar and learnt myself how to play it eventually joining the School Rock band as Bass Player in 10th grade. We were a really good band and stuck on for more than a decade together writing 2 albums and touring all around the country on huge stages like Great Indian Rock Festival and Reality TV shows like Channel V Launchpad. It was only around 2008 I really discovered electronic music, mainly psychedelic trance at a beach party in Goa when I saw GMS playing at Shiva Valley. It was such a profound experience that it inspired me to start making my own music and soon after StarLab was born. I have not looked back since then. [ Radio Schizoid ] You have come a long way since your debut a few years back. You are now a prominent name in label charts and festivals. How does it feel? [ StarLab ] It feels really amazing to see my name amongst all the great artists who have inspired me. Although Im always in touch with my roots. Thats what really keep me going. [ Radio Schizoid ] Tell us about your music creation process. Where do you draw inspiration from and how do you go about finishing a track ? [ StarLab ] I draw inspiration from experiences especially my travels and the festivals I play. A lot of inspiration comes from Nature, universe, creation, ancient history. Also listening to classic goa trance like Astral Projection, Etnica and so on. As for finishing tracks I take it one section at a time. Laying down the main idea first and expanding from there. [ Radio Schizoid ]Take us through your studio setup. [ StarLab ] I’m running a 27” inch imac with the latest software versions. My DAW of choice is Logic Pro X. Audio Interface is RME Babyface Pro. Dynaudio BM6 MKIII studio monitors. MAudio Axiom 49 Keyboard Controller and my amazing Access Virus TI Snow Synthesizer. My room is acoustically treated which was a real game changer in recent years. [ Radio Schizoid ] You favorite track of yours so far and what is the one track that you wish you made it ? [ StarLab ] My favourite track I have made till now has to be Lightspeed. The title track from my first EP on Digital Om. I made it on these 5” budget speakers in my old bedroom with terrible acoustics. It still sounds good to me. As for a track I wish I had made, its a strange question. Instead I can tell you some my favourite tracks that inspired me. Tool – Vicarious, Karnivool – Coté, Astrix – Artcore, Liquid Soul – Global Illumination. 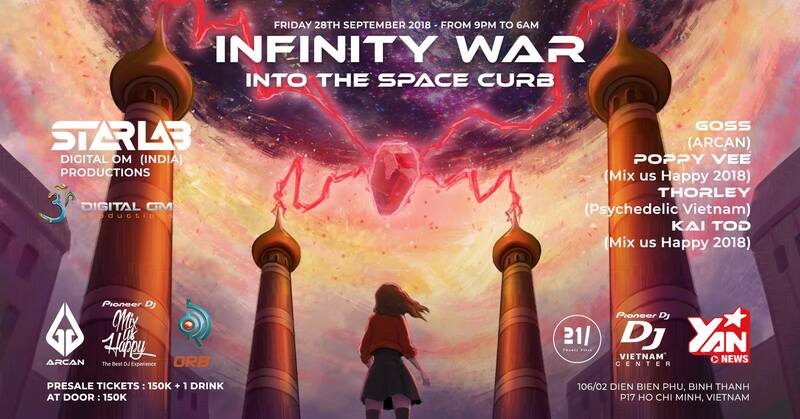 [ Radio Schizoid ] So you are set to play at Arcan Clun in Ho Chi Minh City on 28th September. Are you excited? What can one expect from your set? [ StarLab ] Yes I’m really excited to come to Vietnam for the first time. Ill be staying an extra night just to check out all the sights, sounds and cuisine it has to offer. You can expect all my latest tracks including a few unreleased ones. Also if time permits I will play some new stuff from our label Digital Om Productions. [ Radio Schizoid ] What can we expect from you in future ? Can we expect more collaborations with other artists? [ StarLab ] Yes a lot of things in the pipeline. Very happy to share that I have a collaboration with one of my biggest inspirations Burn In Noise and also with my friends Sonic Entity, Faders, Ital I also have an EP coming with couple of solo tracks on Digital Om. [ Radio Schizoid ] Final shout out to anyone? [ StarLab ] To my family for their undying support. My label boss Nishan. Everyone who has ever booked me, all those who follow my music and Radio Schizoid who had given me my first break making sets for online radio before I ever played live. It was an invaluable experience.